What should an “independent” “performing arts” producer speak about, and what should she create to demonstrate it? I have been unable to answer this question for several years. In the reality of Korea, where public subsidies and public organizations dominate the (performing) arts scene, what can an “independent producer” who neither belongs to an organization nor dedicates herself to a single company do? What should she do, and how should she make a difference? When cutting-edge stories are produced one after another through TV dramas, films and new media, with what can performing arts advocate for the raison d’etre of themselves, if not resorting to “sweat of performers”? After an empty year of asking these depressing questions to myself, I come back to Yokohama having newly re-created works by two female artists. These two works that I introduce share themes of “ambivalence, female, and performer.” There is no dramatic manifestation, the voices are so low and barely audible, and they are not ornamented with justification, so these works might not be very appealing. However, I thought that these are what should be disseminated even slowly through the amplification machine called performing arts. That might be the best answer I can think of now. Having been involved in several performing arts festivals, Jooyoung Koh worked at Korea Arts Management Service from 2006 to 2012. 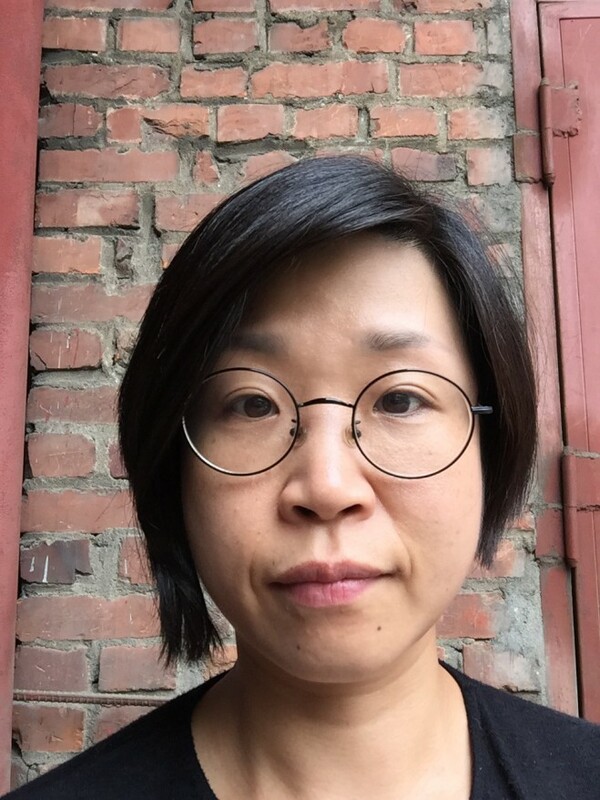 Since leaving the organization, as an independent producer, she has been producing diverse projects mostly with Korean and Japanese artists, exploring relevant contemporary themes as well as forms and processes that are unique to performing arts. She works not only on productions for theaters but also context-oriented, site-specific projects and methodologies making use of alternative spaces and outdoor environments.